Wowza Streaming Engine™ software integrates closed captioning into streaming video content, making online video accessible to a broader audience. 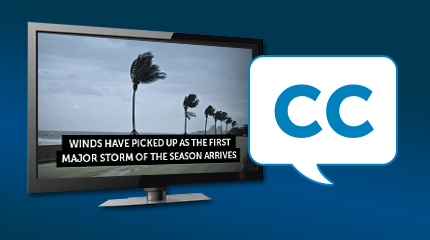 Just as there are a number of protocols, formats, and playback devices for streaming video, there are a number of types of closed-caption formats. Each adaptive bitrate streaming standard, whether HDS, HLS, or RMTP, supports different formats for embedded captions in streamed video. Wowza Streaming Engine provides the widest range of supported caption formats and caption-conversion capabilities of any media server for live and video on-demand (VOD) content. 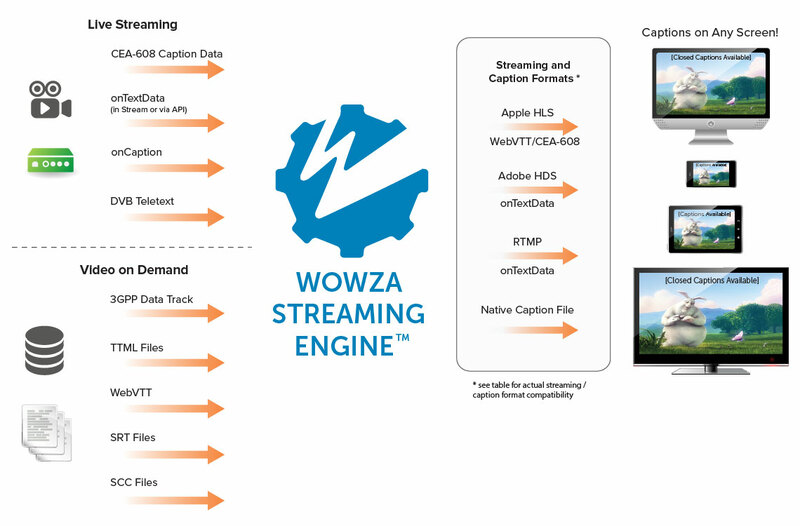 Through its Java API, Wowza Streaming Engine can also connect to back-end caption providers, allowing the server to ingest virtually any live caption format. For outbound video, Wowza Streaming Engine directly embeds CEA-608 or WebVTT captions in live streams played back via Apple HLS. For live events streamed via Adobe HDS or RTMP, Wowza Streaming Engine displays captions using onTextData events. 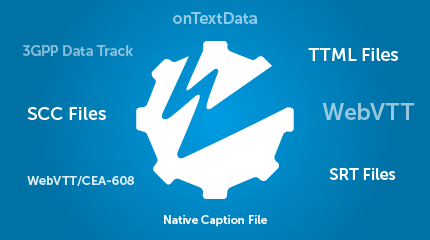 This caption data can be injected into Apple HLS streams as CEA-608 or WebVTT captions or into Adobe HDS and RTMP streams as onTextData events.